Exporter of a wide range of products which include bronopol ip, bronopol bp and bronopol usp. Since our inception, our firm is affianced to introduce a premium quality array of Bronopol IP. It is processed using clinically approved compounds. Our scientists have used modern methodology and advanced machines for processing the drug for the medical institution. This is tested and most used medicinal substances accepted in the health and pharmaceutical arenas. The provided drug is widely used in oral pharmaceuticals as disintegrate in capsule and tablet formulations. Clients can get the drug from us at industry leading rates. It can be taken as absorbent for processing various types medicine amd chemicals in pharmaceutical industry. Since our inception, our firm is affianced to introduce a premium quality array of Bronopol BP. It is processed using clinically approved compounds. Our scientists have used modern methodology and advanced machines for processing the drug for the medical institution. This is tested and most used medicinal substances accepted in the health and pharmaceutical arenas. The provided drug is widely used in oral pharmaceuticals as disintegrate in capsule and tablet formulations. Clients can get the drug from us at industry leading rates. It can be taken as absorbent for processing various types medince amd chemicals in pharmaceutical industry. 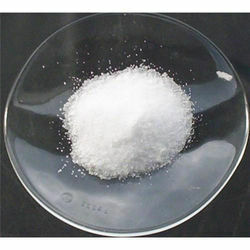 Bronopol USP is a white to Creamish white crystalline powder and an organic compound that is used as an antimicrobial. It is a white solid although commercial samples appear yellow.